Glaucoma’s one of the leading causes of vision loss and blindness. It’s actually a group of diseases where pressure (usually) builds up and damages the eye’s optic nerve. National Glaucoma Awareness Month, in January, reminds all of us to get regular eye exams and show support for those suffering. 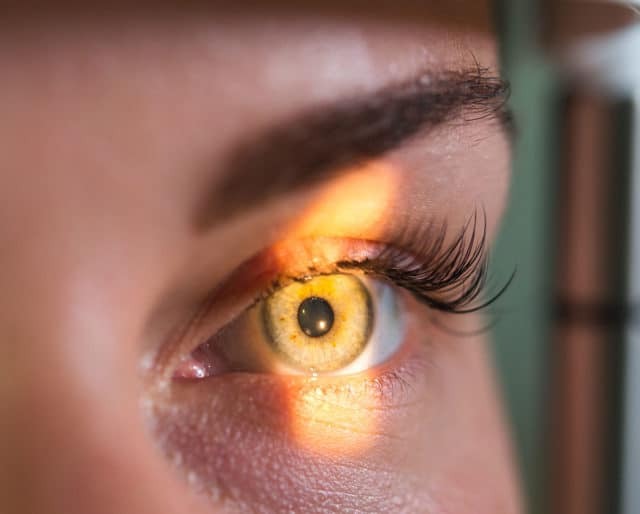 Types of this disease include open–angle glaucoma, which causes peripheral eyesight to slowly diminish, angle–closure glaucoma, where pressure on the iris interferes with fluid draining, and low–tension glaucoma, which actually occurs without elevated pressure on the eye. There’s currently no way to restore vision lost from glaucoma. ​German physiologist Hermann von Helmholtz's instrument allowed doctors to inspect the interior of the eye, helping them see the retina, blood vessels, and spot symptoms of diseases. ​English Oculist Richard Banister was one of the first observers to detect the hardness inside a normal eye — prior to the invention of the ophthalmoscope. Volunteer with your local health center and city departments as they host events. Volunteering also allows you to find others in the same situation and, together, build a support group. Make an appointment with your local optometrist or ophthalmologist. Regular checkups are vital to eye health — even if you have no symptoms. Those at higher risk include people of African, Asian, and Hispanic descent. Other high-risk groups include people over 60, family members of those already diagnosed, diabetics, and people who are severely nearsighted. Over 3 million people in the U.S. have glaucoma, and the number is rising. ​Although generally associated with seniors, glaucoma can strike anyone since each person has their own level of eye pressure tolerance. ​Glaucoma is a leading cause of blindness among African Americans; it's also highly prevalent in Hispanics over the age 65. ​The risk of developing primary open–angle glaucoma is up to nine times more likely if parents or siblings have the disease. ​Although there is no cure for any form of glaucoma, early diagnosis and treatment help control the disease and slow the process of vision loss or blindness. Open-angle glaucoma, the most common type, has no symptoms. Without treatment, those affected will slowly lose their peripheral vision. As glaucoma remains untreated, people may miss objects to the side and out of the corner of their eye. National Glaucoma Awareness Month helps patients cope. It's a time to let them share their stories. The main objective of this month is to keep people in the know about this disease. Not everyone is aware of how easily they can be affected. Eye care organizations use this month to address the risks and provide treatment tips.